Are you psyched for the Winter Olympics? 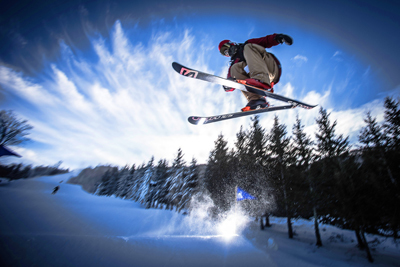 Want to try out some of those half-pipe tricks or finesse your figure skating jumps? We’re lucky in North Carolina–we have both a beautiful coastline with sandy beaches and gorgeous sunsets, but also stunning mountains with waterfalls, autumn leaves and snow, providing lots of opportunity for all types of sports. Check out my article for Allegiant’s in-flight magazine, Sunseeker, to read about Beech Mountain Ski Resort, a fantastic winter resort in the Blue Ridge Mountains where you can ski, snowboard, go snow tubing, ice skating and sledding. Then after a day on the slopes enjoy some craft beer and great food at one of the few breweries owned and operated by a ski area.